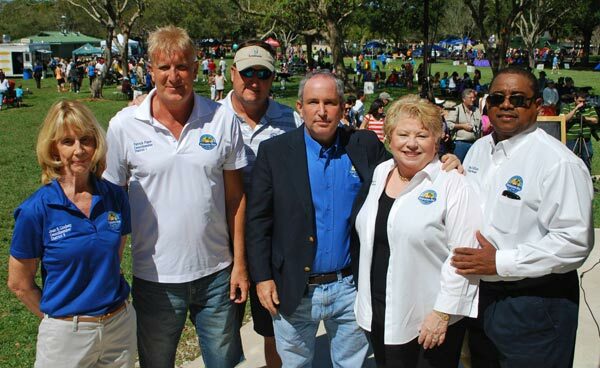 It was time once again for the Village of Palmetto Bay to roll out the BBQ and invite its residents to celebrate their incorporation into a Village 11 years ago. 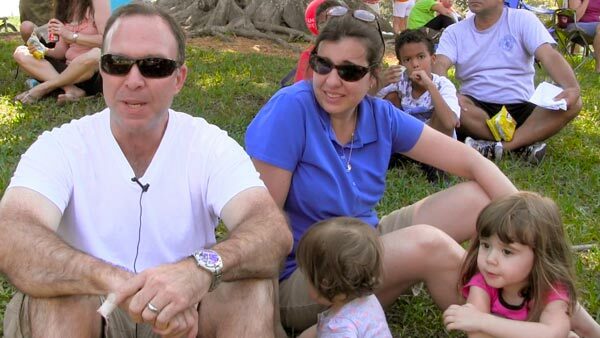 Palmetto Bay’s Celebration Picnic is an amazing free party held each year in Coral Reef Park that draws families to meet their neighbors, talk and generally enjoy the fruits of their Village. Ron Williams, the Village Manager introduced the full Village Council who each quickly thanked their neighbors for coming out. Then it was time for the fun. The three-hour event treated over 4000 people to music performed by local schools and organizations, bounce house rides for all the children, carnival-style attractions, wood working tables hosted by Pinecrest’s Home Depot, face painting, ball badminton and pop-a-shot. 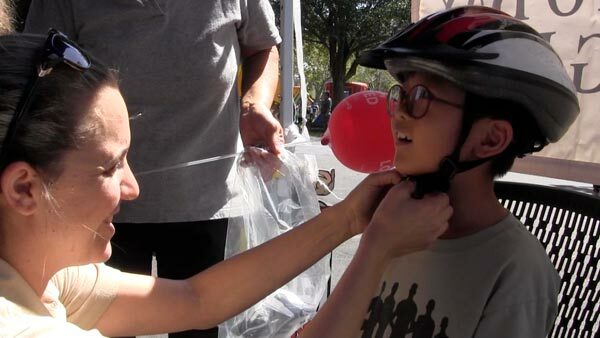 Among the many booths there were demonstrations and tours by the Miami-Dade County Special Response team, a valet bicycle parking area sponsored by Mack Cycle and, Officers Peter Judge and Patience Glasko from the Palmetto Bay Police Force fitted kids with free bicycle helmets. All the food and activities were paid for through generous donations from South Motors, Gus Machado Ford, AutoNation, 3C's Preschool, The Corradino Group, Hollub Homes, Kendall Hyundai, Stantec, SunState Bank, Tip-Top Enterprises and Waste Services. One of the most important areas this year was the Downtown Redevelopment booth. Started about a year ago by Village Manager Ron Williams and run by Director of Building Ed Silva, the Palmetto Bay Downtown Redevelopment Task Force is knee-deep in envisioning the Franjo Triangle area as a vibrant, walkable live-work-play Downtown. 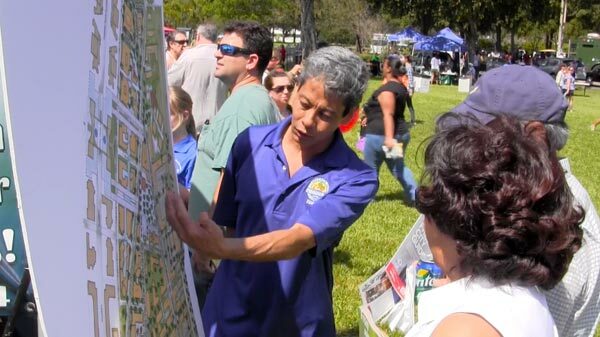 The plan is to attract private investments and new businesses to Palmetto Bay. Residents were asked to take a survey for their opinions and were entered into a raffle to win a $1000 grill donated by Evening’s Delight owner David Zisman. Throughout the sun soaked day, there were smiles, hugs and laughs all around. One family, Gustavo and Rita Cuervo (with their daughters Olivia and Patricia), was resting on the edge of the picnic area taking it all in. “This is wonderful! We’ve danced, had some great food, took in a glorious day and had a nice time,” exclaimed Gustavo.